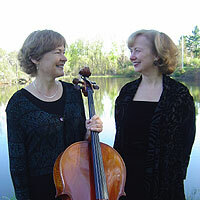 "The Duo's new CD comprises excellent performances...a high level of artistry. The excitement is palpable. The phrasing is excellent and the playing is exuberant, with just the right amount of classical restraint. The lyrical passages are beautifully expressive...played with depth and sensitivity and a real musical understanding. These are live recordings from different concerts. They have the spontaneity and excitement of the concert hall."